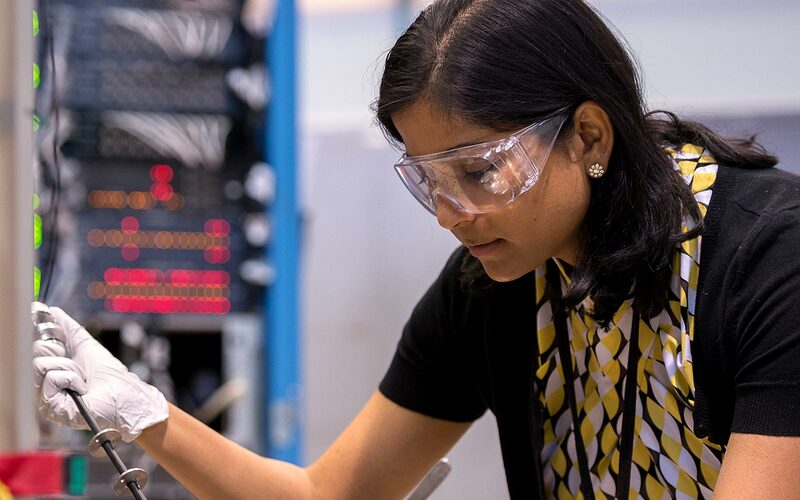 Ritimukta Sarangi is a Staff Scientist for the Structural Molecular Biology Division at Stanford Synchrotron Radiation Lightsource of the SLAC National Accelerator Laboratory. She has held this position for three years, working on the design and development of a high-energy beamline with simultaneous polarized single-crystal X-ray absorption spectroscopy and X-ray crystallography capabilities. She began this work as an Associate Staff Scientist in 2007, upon her graduation from Stanford University with a Ph.D. in Chemistry. Ritimukta earned her M.Sc. in Chemistry from the India Institute of Technology in 2001, and her B.Sc. in Chemistry with a minor in Physics and Mathematics from Saint Xavier’s College in Kolkata, India. She mentors high school students in Stanford’s RISE program, is a lecturer at the Annual School of Synchrotron Radiation at SSRL and two summer school programs at SSRL, and is a member of several professional organizations. Ritimukta has lectured all over the world, and holds awards from Stanford, Q2XAFS, SLAC, and others. What inspired you to work in STEM? As a little child I was extremely curious about how things worked around us. From simple, everyday things like “how are our voices transmitted over the phone?” to complicated questions such as “are there others like us on another planet in another solar system in a galaxy far, far away?” But the curiosity that led me to a career in STEM was really shaped by several not-so-famous people who had a profound impact on my life.